Tranquil nature walks, tree-lined beaches and a vibrant arts scene are just a few of the reasons to spend time in Whangarei. The most northern city in New Zealand is a fantastic place for nature, art and coffee lovers to unwind, so book your Whangarei hotel with us now and take a well-deserved NZ break. Captain James Cook and the crew of the Endeavour were the first Europeans to explore Whangarei Harbour. In 1769 they caught about 100 fish in one day, leading Cook to name the area Bream Bay. The Land Wars broke out in the 1840s following different translations of the Treaty of Waitangi, and in the 1850s and 60s Scottish Presbyterians started coming to the nearby Waipu region so they could practice their religion in peace. Get a bird’s eye view of this city, its green hills and the Hatea River from Whangarei’s highest peak: Mt. Parihaka. As well as the great view, you can also see the excavations of what was once NZ’s largest fortified Maori village. There are three tracks to the summit, and all of them take less than an hour through native bush. Another satisfying and scenic walk is Whangarei Falls, a 26-metre high waterfall over basalt cliffs, surrounded by bush, parks and flowers. For an ocean break, travel to one of the Whangarei region’s beaches like Ocean Beach, a surfing spot with soft white sand and lovely headland views. Back in town, check out Whangarei’s art galleries and visit the Quarry Arts Centre, where you can watch artists in their studios and wander through a garden filled with sculptures. You can even take an art course if you feel like unleashing some hidden creativity. Whangarei is part of the Northland region of NZ, which is home to the Poor Knight’s Islands, millions of years old and populated by a stunning range of marine life. Take a diving expedition or an ocean cruise complete with kayaking. Right in the middle of Whangarei’s CBD you’ll find The Strand shopping centre, which brings more than 40 stores together under one roof. Whangarei’s town basin is another fine place to shop. Whangarei Central has plenty of cafes – some of them award-winning, many with delicious food, so you’re in the right place if you feel like a bit of caffeine. You’ll also find classy restaurants and easygoing pubs to take your pick from! Whangarei is about a two-hour drive from Auckland so book one of our flights to Auckland along with your Whangarei accommodation for a family-friendly and super-scenic NZ trip. 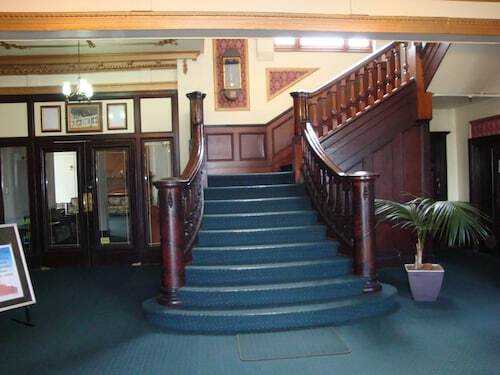 How Much is a Hotel Room in Whangarei? 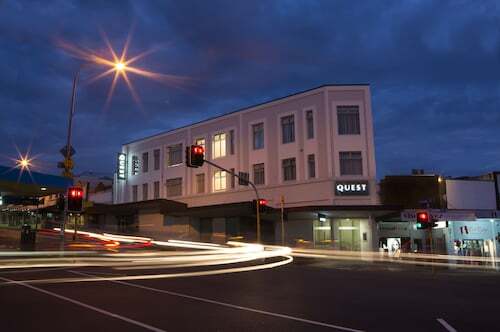 Hotels in Whangarei start at AU$59 per night. Prices and availability subject to change. Additional terms may apply. Value for money. Great central location. Has own bathroom and clean comfy bed and tv and electric jug and space in single room..not tiny box..Communal microwave and toaster in hallway Older attractive wood panelled building.key deposit only $20 and returned easily. . This hotel is 2 storey centre city.Great central location.. on Fridays and Saturday some bar noise below..but was fine..had earplugs and limited outside to departure times.